Florida is filled with beauty and wonder. Come out this weekend to Boyd Hill Nature Park and enjoy a family wildflower walk. Discover the florist in your backyard. Boyd Hill wildflower walks are a wonderful way to spend a Saturday morning Learning about the nature around us. Join in on our monthly Wildflower Walk and become acquainted with the summer blooms! If you are looking for something epic to do in tampa this weekend check out the tampa bay fossil fest. 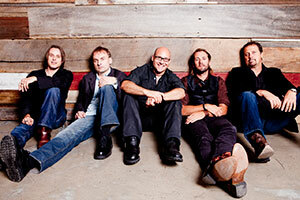 Come out and see Sister Hazel for FREE! Q: What do you you call a Bee born in May? Dr. Mark Brown will be presenting his indoor Beekeeping program in two parts in May. ST. PETERSBURG, FL (March 8, 2016) – Downtown St. Petersburg is open for all race fans, visitors and residents alike as the city welcomes three days of fast cars, world-class drivers and family fun on the waterfront during the 2016 Firestone Grand Prix of St. Petersburg, March 11 -13. As the season-opening event on this year’s 15-race Verizon IndyCar Series calendar, downtown St. Petersburg transforms into one of racing’s most beautiful road courses and offers spectacular trackside waterfront views for fans of all ages. The race will be broadcast on ABC beginning at 12:30 p.m. March 13. We all love Google maps For locating something we know. It's even great for looking around an intersection. However, one thing Google maps doesn't give you is a list of all the businesses at particular intersection. This Hot Florida Vacations Intersections project Works its way through St. Petersburg cataloging each of the businesses and other things of interest at popular intersections around town. Following each concrete list of place names, you will find a list of adjectives and adverbs that describe how intersection feels, appears, and sounds.